Sportaid can relate to your desire to participate in sports such as Tennis, and Quickie is here to help you beat the competition. 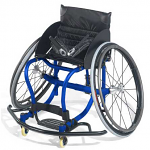 Maximize your potential with our feature-rich selection of Tennis Wheelchairs from Quickie. Find the safety and independence you need by choosing the right options for gaining the on-court advantage. 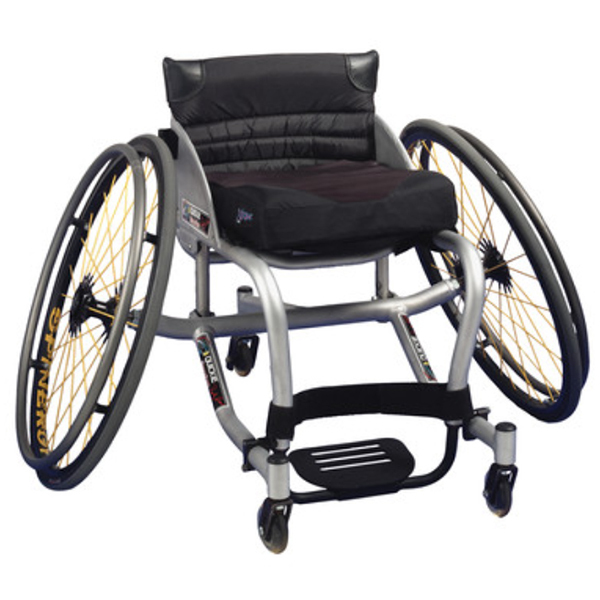 The innovative design of the Quickie Match Point Titanium or Aluminum Tennis Wheelchair works perfectly and swiftly on the court. Its standard features and multitude of options like unique center-of gravity, Quad Release Axles and seat-angle requirements will keep you ahead on court. 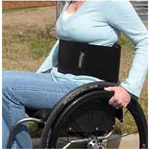 We also carry various posture improving products like The Body Bracer - Abdominal Binder and Sportaid Wheelchair Click Straps to ensure you achieve success on the court. Browse through our high quality collection of Quickie Tennis Wheelchair below or feel free to call 1-800-743-7203 for help. You'll be glad you did! Select from the top manufacturers and save big with Sportaid.com's everyday low prices. 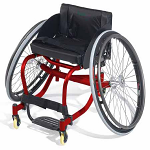 Saving up to 26% on Quickie Tennis Wheelchairs makes Sportaid the place to buy! Whether this is your first or second visit to Sportaid or you have been with us from the beginning, we offer a satisfaction guarantee. 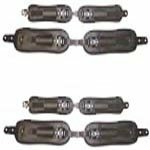 We have been finding people the best deals on Quickie Tennis Wheelchairs for more than 25 years, and we continue to lead the industry with our large selection of wheelchair cushions, wheelchair parts, and wheelchair accessories. We can beat any competitor's advertised price with a call from you to our customer service staff with over 50 years of experience, plus over 90 years of combined wheelchair use experience. We look forward to working with you!